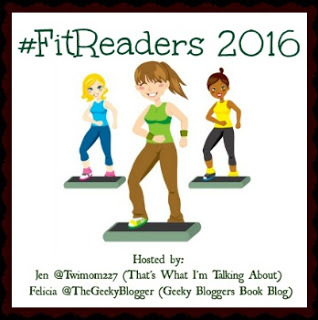 #FitReaders is a group of book lovers who encourage each other with their fitness goals. It’s hosted by Felicia at The Geeky Blogger’s Book Blog and Jen at That’s What I’m Talking About. Go here or here for more info. Each week, those who are participating in #FitReaders do a check-in where they share how their week went, fitness-wise. I’ll be trying to post these check-ins each week on Friday. Fitness-wise, this week I was going to start 21 Day Fix but I haven’t received it yet, so I’ve decided to just walk with the family and start C25K. I also downloaded the MyFitnessPal app, and I’ve been logging in all my meals and water and exercise in it. I’ve used a different food logging app before, and while it was nice, MyFitnessPal gives me little tips as I add food, like “Your daily goal for sugar is X grams and this food is x grams” or “this food contains a lot of Vitamin C” or whatever. I like having those little tips as I go. I only have the free app right now, and I’m debating getting the paid one. We’ll see how I do with the free app for a while. I also did my first two Fun Miles this week! On a personal note, I was really upset after I heard about the events in Orlando this past weekend, and so I’ve just been kind of off since then. I’m a member of the LGBTQIA+ community so it wasn’t an easy weekend, although I do know that there are many people out there who had a much harder weekend than I did, since I didn’t know any of the victims. But it was still an attack on my community, and I also felt like I had to wind my way through a lot of hatred and judgment and I had to unfriend a few people and I kind of just don’t even care anymore. Like, I just don’t even want to be friends (or even be friendly) with people who don’t see that I and the other members of my community are equal to them. I know that you can’t always agree with all of your friends and you shouldn’t unfriend people simply for a difference of opinion, and I TOTALLY agree with that. I have plenty of friends and family who disagree with me on a lot of things. And I’m not going to unfriend someone just because they disagree with me. But if they believe things that hurt me or others, I’m just not going to be okay with that anymore. Blogging and reading-wise, I feel like I’m really behind on things now because I haven’t really been reading or blogging this week, and although I’m upset I’m behind, I also just don’t really care, either. I’m sure I’ll get back into the swing of things soon, but for right now, I just feel like I needed to take a little break from things. 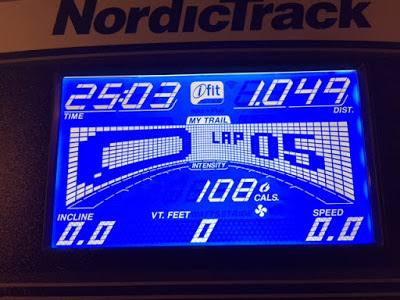 Monday 06/13: C25K Week 1 Day 1, 15 min (half of the program), then walked 10 more minutes – First Fun Mile! This one counts for June. Pic below. 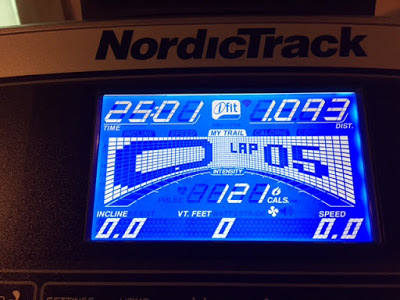 Tuesday 06/14: Walked/jogged on treadmill, 25 minutes – Second Fun Mile! This one counts for January, since I just started FitReaders in June. Pic below. *Unless playing pool (billiards) counts, because that’s what I was doing this past weekend–I was at a tournament so I played pool on Friday and Saturday. Oh, and also on Monday, too! 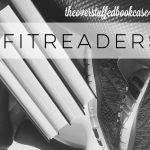 Are you participating in #FitReaders, too? Let me know, and I’ll try to stop by your blog! 1st – great job on the two fun miles! And billiards does require moving around – so that's steps, right? I use the LoseIt! to measure my day and I like it. There are definitely things about it that could be better, but it's what I started with, so I'll keep going. 2nd – hugs to you and our country. I'm still sickened by the hate that exists. While I haven't unfriended anyone on FB, my eyes were opened to a few IRL friends and their opinions that I found so close-minded and hateful. I've decided to just stay off and away from the hatred, and share as much kindness as I can. Great job with your week! I used to use MyFitnessPal and really need to get back to using it…just to get an idea of the sugar/calories etc.